Greetings mighty allies of the wests! After a four month break from the live scene, we are back to pillage your browns and celebrate a wictorious year with the release of our third CD, TRIUMPH AND BEYOND. It has been a massive year for us, having the priveledge of playing tons of great local shows as well as our first national tour, and we are extremely proud of our hard work on the new album and can't wait to share it with you! It brings us much sadness to announce the departure of founding member, guitarist and author Oliver Soos aka Havanti. Oli?s pleasant nature and hilarious ideas helped to form the personality of Claim The Throne, and this will continue to flow in dedication to him. Oli leaves us to return to live in Slovakia, best of luck our friend! The replacement for Oli is no stranger to the Claim The Throne ranks, he has filled in for us before, but now we welcome Glenn Dyson (Choke, Cuntscrape, Pathogen) as a permanent guitarist in the band and look forward to the rawkus times ahead! He will begin with us in the new year, so until then we have the very talented Owen Thomas (Dyscord) lending his skills for a few shows, he played at Bastardfest with us last week and rocks the f*k.
Can't wait to announce some more shows, including some interstate dates too! So until then, check out a new track THROUGH THE RAGE OF THE STORM at www.myspace.com/claimthethrone and let us know what you think! We will put another newie up next week so keep an ear out. Courageously blending folk and melodic death metal, ale-guzzling Australian warriors CLAIM THE THRONE return with the third and most solid release to date, TRIUMPH AND BEYOND. Formed in 2005, CLAIM THE THRONE have built a reputation for outrageous live performances and a unique style of metal. With a newly refined line-up in 2010, TRIUMPH AND BEYOND displays the band at their peak with 12 tracks of fearless victory and its festive aftermath. TRIUMPH AND BEYOND was recorded, mixed and mastered by Dr Al Smith at Bergerk! Studios and is available through PRIME CUTS Music from December 4th 2010. With a huge two months ahead of us recording & touring, we are starting it off with a big plundering party on 1st May. Doors open at 8pm but be welcome to come down early for feasting and drinking to get the night underway. Hope to have all you mighty warriors there to share the festivities with us! Greetings travellers, and welcome to the latest gossip from Claim The Throne. 2009 was a successful year for the band, with the release of the ALETALES CD/DVD, our first video clip, and our first interstate show. 2010 promises to be just as eventful? It is with pride that we can officially announce drummer Ashley Large (Oscarius ? known for going completely oscar) as a permanent addition to Claim The Throne. Acknowledged for his tremendous work in Dyscord and Mochief, Oscarius provides Claim The Throne with a tight and extreme style of drumming that can take the band to the next level. We met Oscarius late one night in a bar fight where he tore the leg off an oaken table and battered every fiend who dared cross his path. A remorseless warrior who fears not! 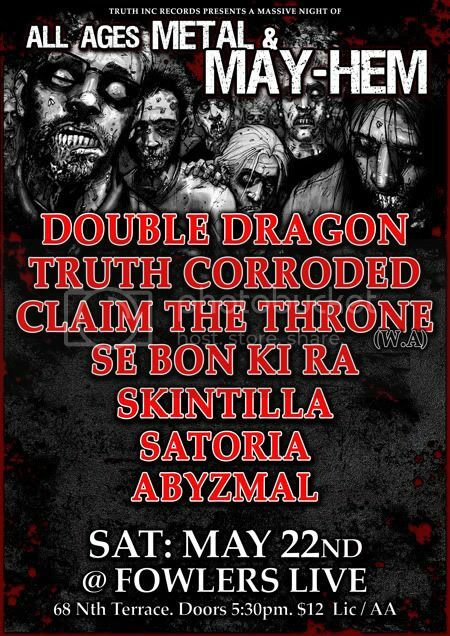 Claim The Throne will be pillaging Adelaide again in May, teaming up with the mighty ones of Double Dragon, Truth Corroded and more of Adelaide?s finest acts. We are stoked to be getting back there so soon and cant wait to rejoin the brave warriors of the souths for another triumphant victory. We are extremely thrilled to be joining Scotland?s ALESTORM on the ?Plunder Down Under? Tour! We hope to be having beer funnels with many of you around the country and look forward to pillaging places we are yet to visit. And with that, the ALETALES era is coming to an end - we will be going into Bergerk Studios with Al Smith in June to record the next full-length album. The new songs are a mixture of stylings from both of our releases, fusing the folk-metal stylings of ALETALES with blackened melodic death. We are very excited with how the new tracks are sounding, and cant wait to get them released. The writing of the second book has also begun, but it is undecided whether this will be released with the album or later down the track. Get ALETALES now from Prime Cuts Music (www.primecuts.com or pcuts@bigpond.com) or at any Claim The Throne show. Thanks for the unquestionable support from our loyal allies over the years, we raise a thousand steins in your direction. In an effort to help further promote the many great metal bands we have across Australia, we at Welkin Entertainment have put together yet another promotional Australian metal compilation. This time it comes packaged as double CD featuring a selection of 25 bands, of a wide variety of metal genres, from across the country. Only 1000 copies of this compilation are available, and all will be handed out for free at the conclusion of each show on the ARCH ENEMY, SUFFOCATION and WINDS OF PLAGUE Australian tour, taking place from November 1-7. * The CD?s will be handed out for free outside the front of the venue straight after the conclusion of each show. * This compilation CD will NOT be available in stores. The only opportunity to acquire this CD is after the above gigs. 1000 copies will be distributed between the above 5 gigs, so make sure you get in quick as once they?re gone that?s it. * THIS CD IS FREE! 9. INTERNAL NIGHTMARE (VIC) - The Term is Frustration? For anyone who is interested, we have a few updates from the Claim The Throne hut..
September was a pretty full on month for us, and many battles were conquered. The Aletales Release party and Metalcruise were a huge success so thanks to all who shared them with us! We have also just returned from an epic quest to Adelaide where we pillaged the Against The Grain festival with fellow WA comrades Gallows For Grace. It was a triumphant trip, check out a review & photos at http://www.metalobsession.net/against-the-grain-5-adelaide-%e2%80%93-19092009 and further photos at http://www.voltagemedia.com.au/gallery. After a number of years in Claim The Throne I have decided to call it quits. While the last 6 months have been a blast I've been lacking in motivation and the band deserves a member who is committed 100%. I'm going to focus my energy into "Agony" and my new band "Mid-Apology Punch". 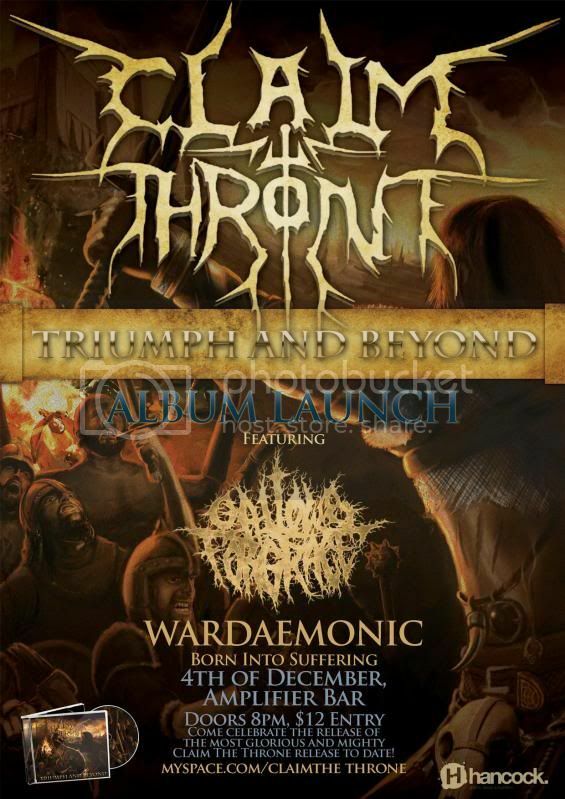 Claim the Throne's first interstate shows will be my last. I have had some incredible times over the last few years and I'll never forget the antics that came with it. The band will continue on and I look forward to seeing what they accomplish in the future. I'm glad I can go out on a high and I hope "Aletales" is thoroughly enjoyed by the metal community. We are also up for nomination in this years WAMis Song Of The Year competition in the heavy category for Set Sail On Ale. Votes can be placed at http://www.news.com.au/perthnow/index/0,21581,5019216,00.html, we raise our ales in advance for any support! 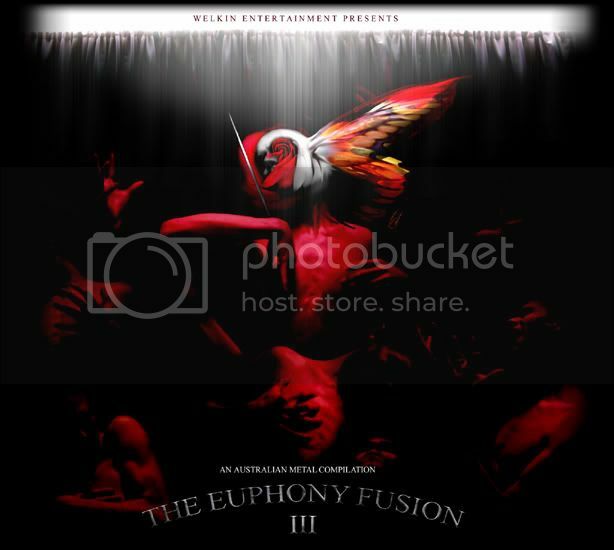 Set Sail On Ale can also be heard on the upcoming Welkin Entertainment compilation CD, Euphony Fusion 3, which will be distributed for free on the Arch Enemy/Suffocation Australian tour. Thanks for the loyal alliance! Greetings warriors of the wests! With Metalcruise sold out, a second ALETALES Release Party will be held on Friday 4th September at Hyde Park Backroom, North Perth. Get down early to see CLAIM THE THRONE perform their first ever acoustic set at 8pm to get the festive feelings of the night underway. For those who attended the ONLY THE BRAVE RETURN release party last year, you will know that a CTT Launch is no ordinary metal gig, but an experience to behold creating legends for the ages! There will be prize draws throughout the night for those who dress in medieval costume, so get into the spirit and live like a couragous warrior for a night! Recorded mixed and mastered with Alan Smith at Bergerk! (www.bergerk.cjb.net). Artwork once again captured by Brendan Ninness (www.ninness.com.au). DVD created by Red Empire Media (www.redempiremedia.com.au). Hope to be sharing many ales with you all! Claim The Throne will be celebrating the release of ALETALES on a 3hr cruise setting sail on the Swan River! If you can't get in touch with the band directly, tickets can be purchased at upcoming CTT gigs or booked online at claim_the_throne@hotmail.com and payments can be accepted via bank deposit or paypal & we'll post your order. 35 bucks might seem a bit steep for tickets, but I can assure you there will be very little profits being made.. We will be working hard to outdo ourselves from the last CD launch, so hopefully it will be worth every penny! It's something a bit different and if it works out then it would be great to use as an alternative venue and have regular metal cruises. So hope to have plenty of you there to set sail on ale! 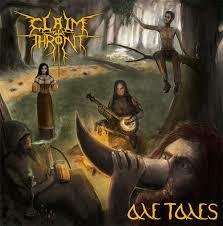 ALETALES is the brand new Claim The Throne CD/DVD package to be released in 2009. Prior to the commencement of our second album/book, we have decided to create this MiniCD to provide us with a greater promotional tool and more studio experience. This CD sees Claim The Throne take a much more folk-metal musical direction with songs considerably shorter and catchier. Whether we continue in this direction in the future only time will tell. ALETALES was recorded, mixed and mastered with Alan Smith at Bergerk! (www.bergerk.cjb.net). The artwork was once again captured by Brendan Ninness (www.ninness.com.au). The DVD was filmed by Red Empire Media (www.redempiremedia.com.au). 3. Claim The Throne ?Behind The Scenes? From its humble beginnings four years ago as an idea between friends, Against The Grain Festival has always prided itself on the idea of growth, with festival organisers Lee Gardiner and Jason North working tirelessly throughout the year to ensure that each year, Australia's premier all ages all Australian metal festival gets bigger and badder year in year out. After four years of bringing the cr?me de le cr?me of Australian acts to Adelaide on one day, the question Truth Inc Records was faced with, how can we make ATG5, bigger than all before it?? And the obvious answer, move the venue, double the bands and this time around, bring all the metal genres together, and bring the finest Australian acts the country has to offer. Previous Against The Grain festivals have showcased the countries metal / thrash bands, but with metal culture flourishing worldwide, and its audiences tastes expanding, ATG 5 will feature not only the Australia's best metal acts, but it will showcase the best and up and coming Grind metal, Death Metal, Thrash Metal, Black Metal, Folk Metal and more, over two stages, September 19th 2009 at Live on Light Square - Adelaide. Always using the legendary ?Metal For The Brain? fest as a benchmark, this year the Truth Inc Records team can boast THE metal line up it has been working to achieve over the last five years. Against The Grain 5, this year will undoubtedly herald Adelaide as Australian metals new home as the finest bands under the 'metal' umbrella display their own variants of the many sub genres they represent, not only showcasing metal as a whole, but demonstrating outstanding song writing and musicianship, making Against The Grain a true exhibition of metal as an artistic medium. After having to cancel last year?s performance at ATG4 we are proud to announce that Alchemist (ACT) will close ATG5 this year, A unique metal hybrid unlike anything that you've ever heard before Alchemist will showcase why they are in a league of their own. On the back of their acclaimed new album ?nOn? Noise Terrorists The Amenta (NSW) will make their first appearance at ATG5 and bring with it a barrage of sonic noise and devastation. Prepare to witness the future of extreme metal! When it comes to 100% pure Aussie Heavy Metal look no further than Lord (NSW), armed with a new album ?Set in Stone? and a shredfest of a live show, LORD will set the ATG stage on fire. Double Dragon (SA) and Truth Corroded (SA), ATG main stayers and organisers will again be back on the home stage, following another great year for both bands which saw Truth Corroded tour China for the first time and Double Dragon supporting international heavyweights The Haunted and Soilwork, and appearing at Soundwave 09. With widespread critical acclaim of their live performances and their demo ?The Aurora Veil? Ne Obliviscaris (Vic) create a wall of progressive, symphonic metal that transcends genres from black metal to jazz. Separatist (Tas) wield their own impressive versatile style of playing, they've been described as Technical Death metal, Blackened-Death and everything in between and there is nothing that will stand in the way of their metal onslaught. Black metallers Empyrean (Qld) combine dark, melodic soundscapes with black and death metal to forge a unique brand of symphonic extreme metal that will both captivate and brutalise, Empyrean are set for dominance. Adelaide prepare for battle as Folk metal warriors Claim The Throne (WA) pack up the battle ships and set sail to Adelaide for the first time with their unique brand of folk metal destruction. Universum (SA) have been turning heads Australia wide with their debut release "Leto Destinatus" Receiving Triple J airplay and a national touring spot with Dragonforce. And finally the hard working Octanic (SA) who fuse elements of European melodic death metal, heavy industrial grooves, contemporary hard rock and classical sensibilities to create music that has often been described as 'Epic?. So there you have it the first run of bands, more bands will be announced soon so for more info please visit www.myspace.com/atgfest. Spread the word and make ATG5 the complete metal experience. 63 LIVE ON LIGHT SQUARE.